Animal pollinators are the industrious workers in the factory of life – transporting pollen from one flower to another to ensure successful fertilisation. 75% of our crop plants benefit from this free service which can increase the yield, quality and even shelf-life of their products. This translates to a US$235-577bn value to global agriculture each year. Many of our favourite foods – strawberries, coffee and cocoa – can end up shrivelled and tasteless without pollination. This ecosystem service is under increasing threat however, as pollinators face the potent cocktail of pressures we have laid upon them, declining in numbers across various parts of the world. But what has all this got to do with international development? From what we can tell, communities in developing countries are more reliant on pollinators than almost anyone, standing to lose important income, livelihoods, nutrition and cultural traditions if pollinators decline. And yet, although a number of researchers across the developing world have made substantial and important contributions to this field, limited resources and capacity have meant that only a small proportion of pollination research has focused on these regions. In fact, there isn’t even enough data to know what is happening to pollinators in the developing world, let alone how we can best conserve them and their values to human wellbeing. Over two billion people in developing countries are reliant on smallholder farming and therefore indirectly reliant on pollinators, without necessarily knowing it. Many valuable cash crops, for example coffee, cocoa and cashews, are highly pollinator dependent and almost exclusively grown in the developing world, providing income for millions of people. In fact the reliance on pollinator-dependent crops has increased faster in the developing world than anywhere else. 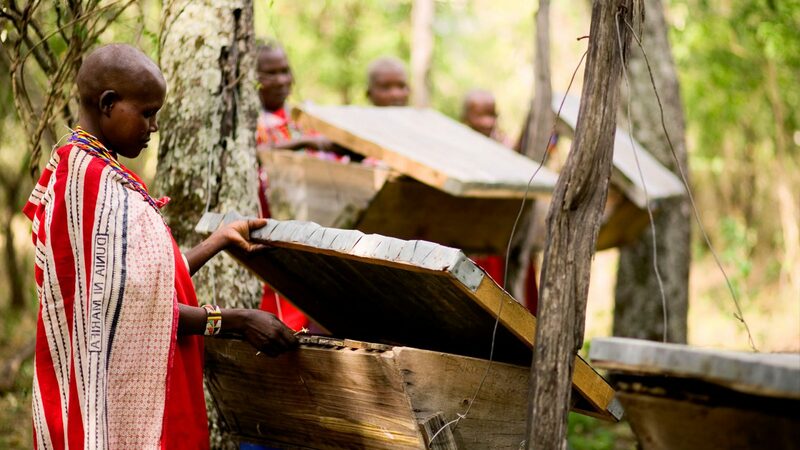 Reliance on beekeeping for income and livelihoods has also increased and is becoming a common component of sustainable development projects worldwide. Worryingly, declines in pollination will have deeper consequences than just the loss of crop yields and income. Because many of the most nutritionally important food groups such as fruits, nuts and vegetables are also the most pollinator-dependent, pollinator declines are likely to shift the balance of people’s diets away from these foods. As a result, many millions of people around the world, particularly in developing countries, are expected to become deficient in important micronutrients such as vitamin A, vitamin C, iron and folate, resulting in millions of years of healthy life lost. So what is being done about all this? In recognition of the importance of pollinators to human welfare and the threats facing them, the Intergovernmental Science-Policy Platform on Biodiversity and Ecosystem Services (IPBES) commissioned a global assessment of Pollinators, Pollination and Food Production, published in 2016. This triggered a great wave of political and media attention and has resulted in the incorporation of the report’s key findings into the Convention on Biological Diversity (CBD). Many governments are now in the process of developing national pollinator strategies, including the developing nations of Brazil, Argentina, Colombia, South Africa and India. On this wave of momentum, the CBD has also requested the UN Food and Agriculture Organisation (FAO) to update their International Pollinator Initiative (IPI) which aims to build greater understanding, management and conservation of pollinators around the world. This international attention won’t last forever though, so it is important that the current momentum is sustained and built upon as soon as possible, ensuring as many countries as possible – particularly in the developing world – are involved. The UK has a valuable opportunity to contribute to these efforts. As a centre of excellence for pollination science, it is the second largest funder and producer of pollination research after the US. But only c.6% of the £95M we have contributed to pollination research in the last 10 years has any link or collaboration with a developing country (ÜberResearch 2018). As more of the UK’s Official Development Assistance budget is made available for research, there is a shift in emphasis towards research that directly contributes towards international development. New funding programmes are encouraging the UK research community to engage in collaborative projects with researchers in developing countries, building valuable research capacity. With the relevance of pollination and agro-ecology to addressing the UN’s Sustainable Development Goals, these topics may fit into this new funding landscape. However, to be effective and ethical, partners and institutions in developing countries must be involved in the design of, and stand to benefit from these collaborations. See here for a UKCDS report outlining the ways in which academics and funders can help ensure fair partnerships. As populations in the developing world expand, along with per-capita food demands, these issues become all the more pressing. Food production will need to increase by 70% come 2050 and this cannot be achieved by simply expanding agricultural land or fertilizer input. To ensure people are well-fed, in a way that is sustainable and ethical, we will have to intensify our farming in new ways. Understanding and managing pollination may be an important part of this and is something that researchers, politicians, agriculturalists and development workers will need to engage with sooner rather than later. Thomas Timberlake is a pollination ecology PhD researcher from Bristol University who undertook a three month project with the UKCDS looking at the relevance of pollination to international development. To find out more about this project you can view the full report, or watch a recording of the UKCDS Pollination and International Development Webinar. You can also listen to Tom speaking on Nature Xposed, a Bristol University nature radio station, about the importance of pollinators in developing countries. For simplicity, we use the term ‘developing countries’ to refer to all countries listed in the Organisation for Economic Co-operation and Development’s (OECD) Development Assistant Committee (DAC) list of Official Development Assistance (ODA) recipients. This includes countries from a range of economic classifications, from ‘Least Developed’ to ‘Upper Middle Income’ which includes the nations of China and Brazil. Whilst we group all these nations under the broad term of ‘developing country’, we acknowledge the great heterogeneity between them in terms of wealth, development and research capacity.